The new Merit System will track merit gains, losses and totals for the academic term. It’s designed to be SUPER simple. You would set a starting point for all students, and teachers can very easily add/deduct merit points throughout the week. 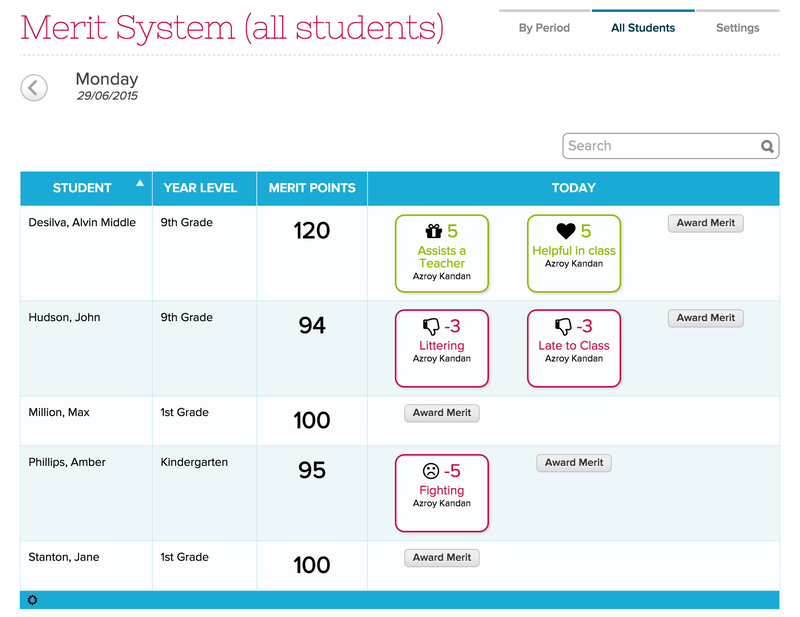 Merits can be shared with parents via the Parent Portal. And you can configure alerts for exceeding pre-defined thresholds. Just to be clear, this is just a teaser screenshot. But we do expect to release this some time over the summer. What do you think should go into a Merit System?